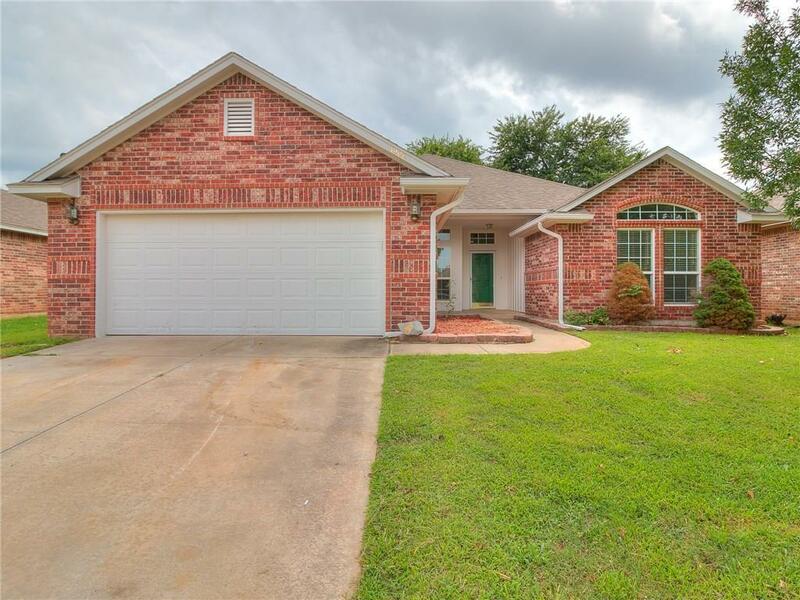 1908 Fair Meadow Drive Edmond, OK. | MLS# 832643 | Oklahoma City Real Estate | Apple Realty, Inc.
3 bed with office located in the desirable Cedar Pointe Neighborhood. You'll Love this OPEN Floor plan with 2 Full Baths, and a Versatile Study that could be used as a 4th Bedroom or 2nd Living! The OPEN concept Kitchen Features a Breakfast Bar, Gas Stove, Center Island, TONS of counter space, Pantry and Plenty of Room for the family to Gather. NEW carpet and FRESH Paint INSIDE and OUT! There is no need to worry about this Oklahoma Weather with a Roomy Storm Shelter right in the garage. This is a MUST SEE home is located in a friendly Gated community with a Neighborhood Park, Fishing Pond, Clubhouse & POOL! Located Minutes from Shopping, Uptown Grocery, Dining & the Mitch Park YMCA. Motvated out of state owner will help with closing or a lease purchase.Brand new condensing unit, new roof to be installed next week.